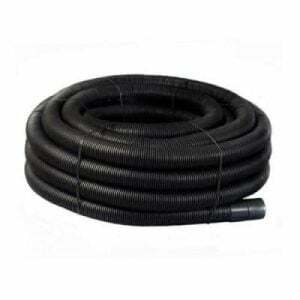 EasyMerchant keep a vast stock of land drainage pipe and coils, all are available to deliver to you with a speedy delivery service. If there’s anything you require that we don’t have listed, then feel free to call us and we’ll source it for you. What is Land Drainage Pipe? Our single wall perforated land drainage can be employed as a collector drain for the elimination of excess surface liquid on gardens and areas to a suitable collection point. 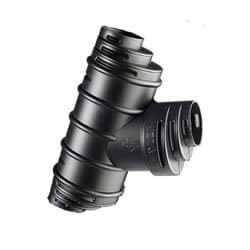 Not suitable as a dispersal drain for Septic Tanks or Treatment Plants. 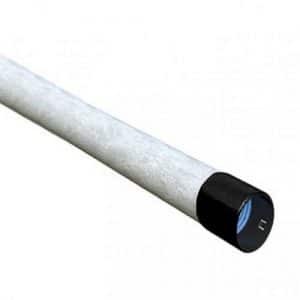 For this purpose please use 6m perforated sewer lengths, which are available in our underground drainage section. Perforated land drainage, designed to be used in the sport and leisure industries as well as the agriculture. 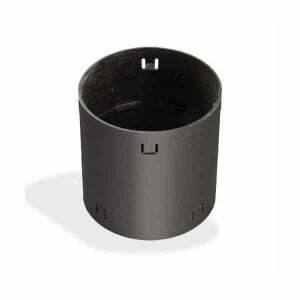 Our perforated land drainage systems are also kitemarked to BS 4962 and are manufactured from uPVC or HDPE. Perforated land drainage is flexible, powerful and easy to install supplying free drain flow. We can provide a complete range of fittings as well as unperforated, fin drain and fully perforated land drain. We can also provide Glass Reinforced Concrete (GRC) Silt Traps and Headwall Units. Supplied in a range of sizes. In waterlogged areas, carefully packed soil particles hold clog the drain and there's no escape route for the drainage. A route to the water is generated, since the gap between each piece of shingle is greater than the gaps between the soil particles by replacing most these dirt particles with material like shingle. Gravity takes the water and it picks up speed, to the land drain and channelling downwards itself through the perforations in the tube. 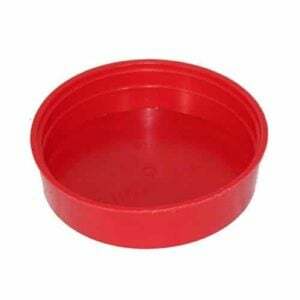 Once in the perforated land drain, which should always be placed in a gradient, the liquid is free to stream away unhindered into the point of disposal. Unlike underground ducting where colour is an indicator of what's within the duct, colour is irrelevant in regards to land drains. Perforated land drain are simply tubes that allow liquid to enter through perforations. The liquid flows away to some disposal point like a soakaway, a storm drain or a stream. You should check to confirm your preferred point of outfall is permissible. Land Drains shouldn't be attached to a drain that was foul or joint without the consent of the Local Authority, and in these situations the relationship must incorporate a trap. 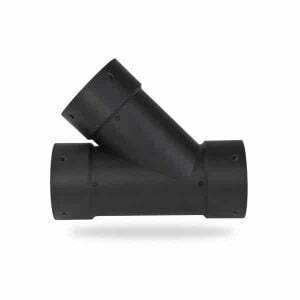 They are flexible, tough and simple to install providing a free flowing drain. The drainage of land has been undertaken for several centuries in the United Kingdom, and has shaped the land use, agricultural practices, landscapes and wildlife that we see now. Some drainage schemes were big scale and dramatic, such as the drainage of the Fens from the 17th Century, whilst others are small scale and may only affect a single field. Many allowed more contemporary or intensive methods of agricultural production to be undertaken, and the upkeep of those drainage systems is often required to support such production today. Some systems, such as the water meadows of southern England, have particular cultural, archaeological and landscape significance, and might have important habitats and species associated with them. Even the more 'mundane' approaches may have specific cultural importance, being viewed as a source of pride and technological progress, especially if you installed or instigated them. It is widely recognised however, that historic, widespread drainage of the property has effected a broad assortment of habitats and species, and continues to do so now in some cases. It is therefore, an important factor to consider at the start of wetland projects. 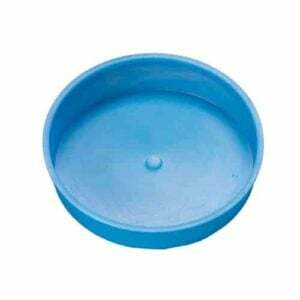 100mm are the sizes for most applications, the diameter of the drain varies from 60mm, 80mm all the way up to 150mm. Although coils are common for most of the sizes, the coil lengths are 25m or 50m, with 25m being our best seller. Where there is a need for additional strength in the system, a perforated Twinwall pipe ought to be used rather than the coiled alternative. Examples of this would be in which the drain pipes are buried deep down and the material over the pipe is heavy. For builders, contractors and tradesmen in the building business who can not afford delays in getting products that are critical. EasyMerchant guarantees you get the products you need, on the time to complete your job without any flaws or cost over-runs. We stock a complete selection of items, that are correctly chosen and quickly shipped so that you can finish your jobs on time, every time. We at Easymerchant believe in something called the "Service Triangle". For those that haven't head of this, it's the connection between price, product and service. We believe you must achieve all three and satisfy in all of these areas so as to please a client and win their repeat business. This appears to have been lost on most of the other retailers out there and the cyber space appears full of cheap products, cheap staff, and a much cheaper delivery service. Here at EasyMerchant Limited we use our years of industry experience to streamline the procedure. We use our long standing connections to create an unbreakable network geared solely to your own satisfaction. We use our purchasing power to buy in bulk and pass those savings on to you, before sending it out for delivery on a specialist vehicle whenever possible. When placing your order feel free to create an account on our web site where you can view and search the best deals, offers and get the latest information and advice.